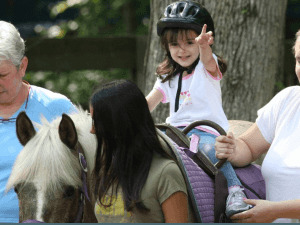 Parkwood Farms is dedicated to enriching the lives of physically, emotionally and mentally challenged children and adults by offering a spectrum of therapeutic riding services in one safe and loving environment. Seeing the faces of these kids is priceless! I feel connected to Doc and Julian, Hunter and Vilair. I love seeing their accomplishments... and knowing I had a small part in supporting each of them and their parents... Love and these boys with the magical smiles, they give me strength!